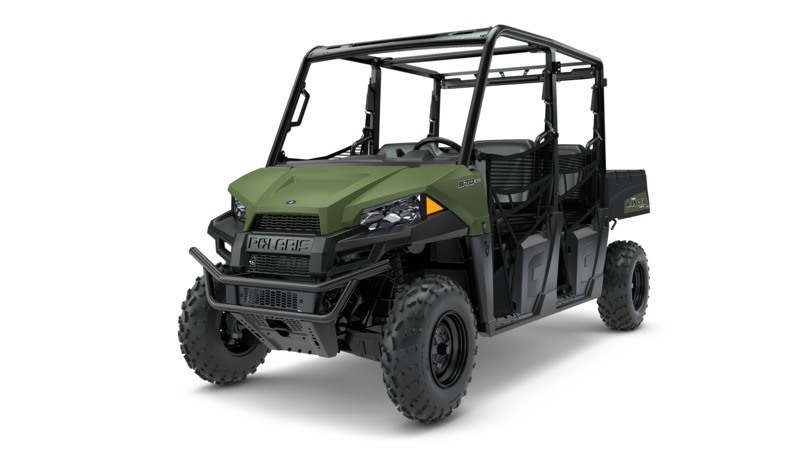 The Ranger Crew® 570-4 delivers the legendary, hardest working performance, quality, and value you expect from the Ranger 570, plus refined cab comfort for 4 riders. With best-in-class power, towing, and payload capacity, you and your passenger will get more done around your home or property, and be more comfortable while you’re at it. SEATING & COMFORT FOR 4: Designed for all-day riding comfort. 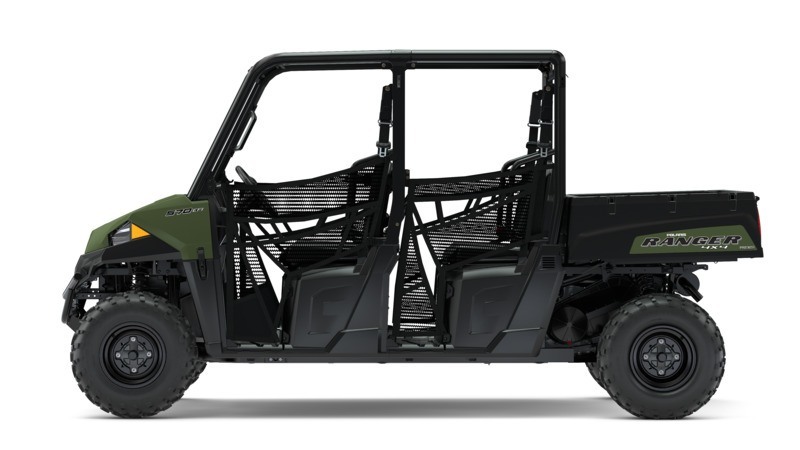 The Ranger Crew 570-4 is designed to provide 4 riders with all-day off-road comfort. Bench seat cab comfort for 4. 9 in. up-front suspension travel and 10 in. independent rear suspension travel. 10 in. of ground clearance to navigate tough terrain. Customizable tilt steering wheel. Powerful headlights to work before dawn or after dusk. 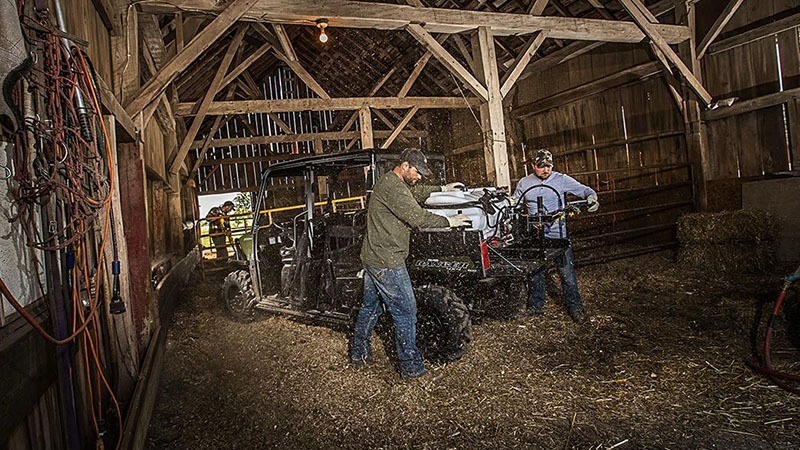 POWER THROUGH THE TOUGHEST JOBS: 44 hp of best-in-class utility power. The powerful engine and reliable performance you need to tackle the big jobs and get more done around your home and property. Best-in-class 44 hp with a purpose designed, built, and tuned 567 cc ProStar® 570 engine. Electronic Fuel Injection (EFI) to keep you moving in any weather. True On-Demand All Wheel Drive to give you the traction you need, when you need it. VersaTrac Turf Mode for tighter turns that won’t tear up your lawn. HAUL MORE. WORK HARDER. GET MORE DONE: Class-leading payload and towing capacity. 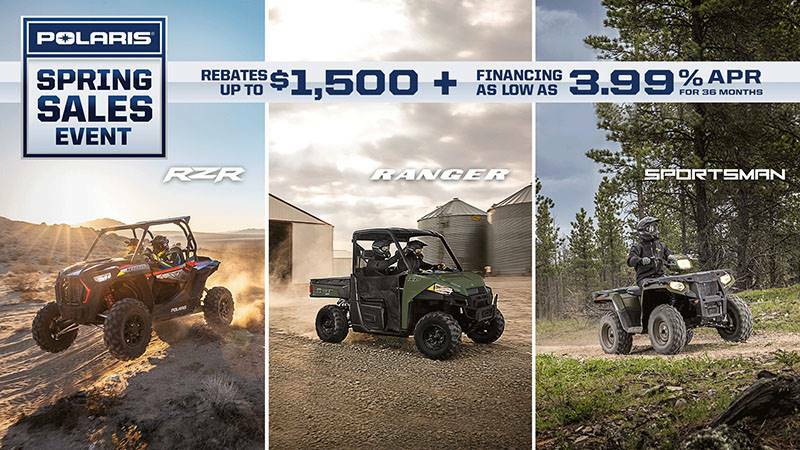 The Ranger Crew 570-4’s best-in-class payload and towing capacity will help you tackle the truly big jobs and get more done in fewer trips. Massive 1,500 lb. of towing capacity. 1,250 lb. of payload capacity. Standard 2 in. receiver hitch. Gas assist dump box with 500 lb. capacity. Adjustable suspension to maintain ground clearance when fully loaded. Convenient integrated storage options.